More and more, Chris and I were finding our small apartment tough for entertaining. One thing on our "To Do" list for our new home is to knock down the wall between the kitchen and the living room to create a breakfast bar. That would give us a little more space to entertain, but mostly it would vastly increase the flow in our home, making even our modest space more conducive to guests. 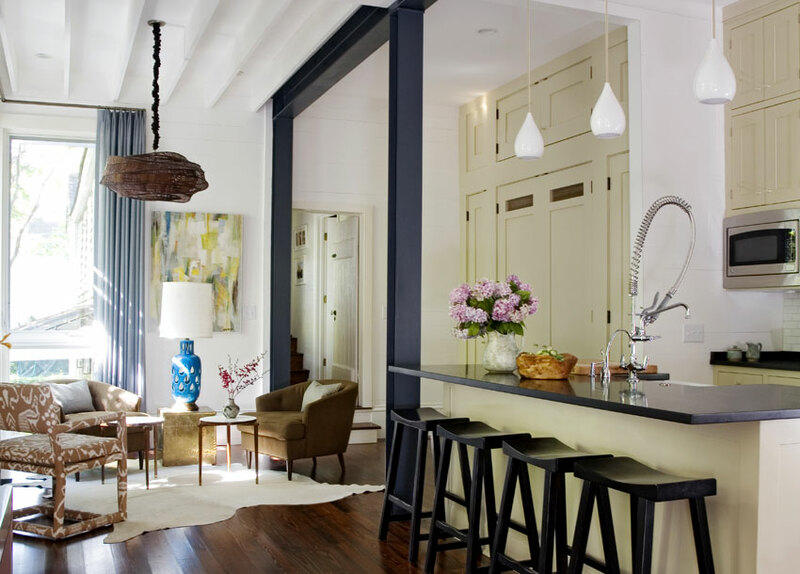 This seating area isn't particularly large, but the open concept layout and variety of seating makes for plenty of ways for guests to mingle. 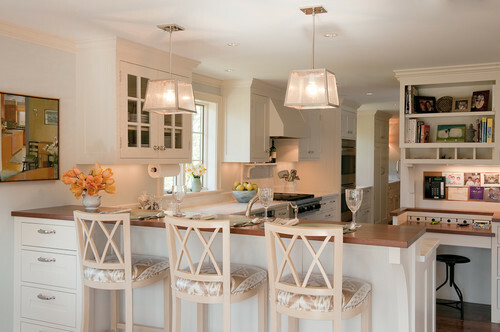 This kitchen bar can be a great addition to more seating. 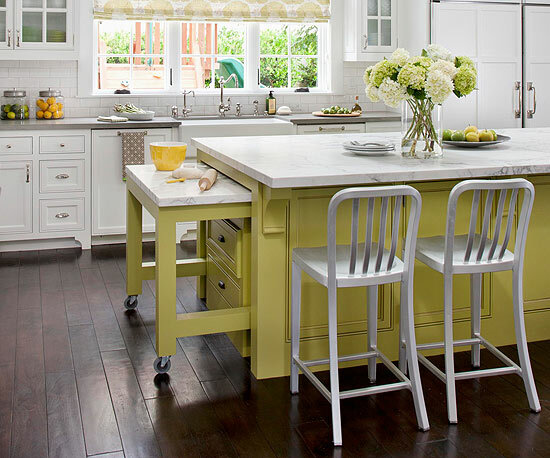 Sometimes the bar stool itself can make a big difference. 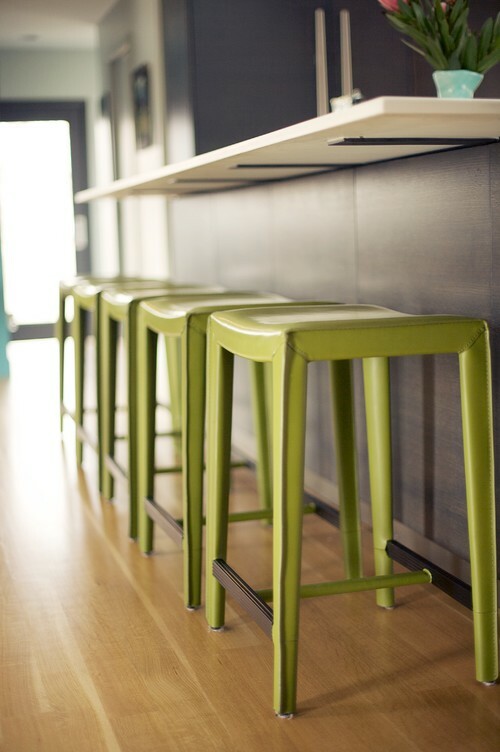 Having backless bar stools still gives you the visual space you need but allows for guest seating. 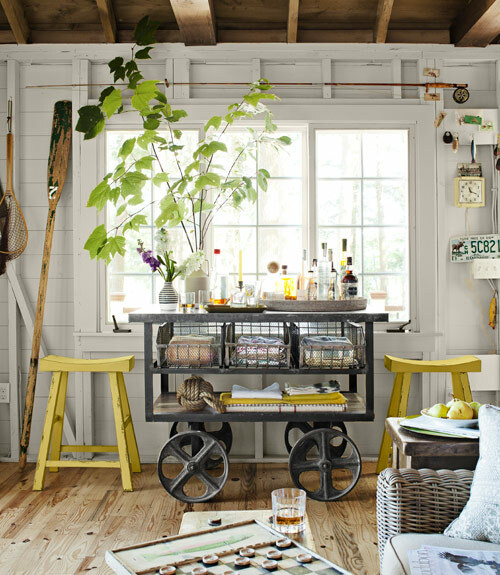 I love this "campy" industrial wheeled cart turned bar.